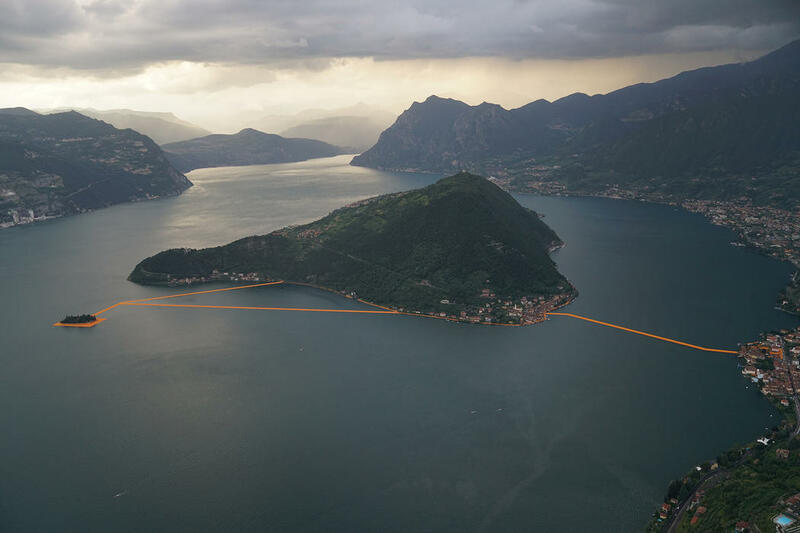 After years of planning and preparation, artist couple Christo and Jeanne-Claude’s floating bridge art piece has finally been completed and opened to the general public in Italy! 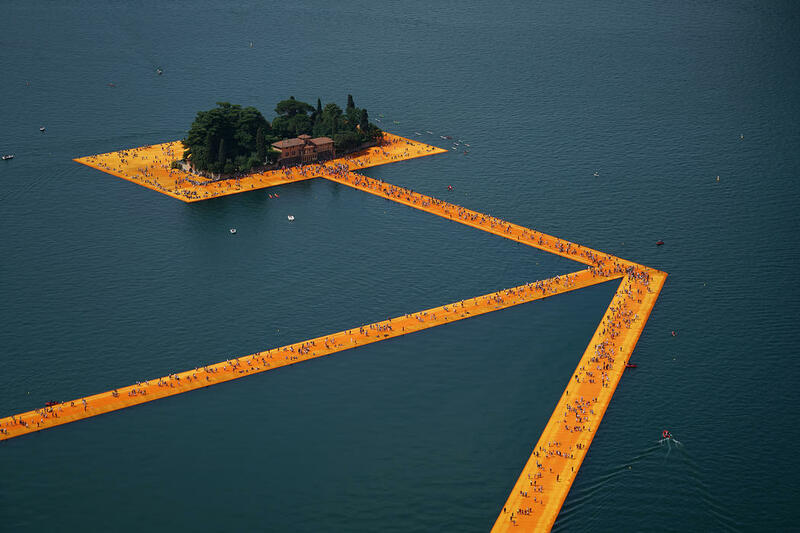 The piece, which was one of the couple’s last planned art pieces before Jeanne-Claude’s death in 2009, is titled “Floating Piers”, and contains over 200,000 floating fabric bricks that come together to create a bridge, linking Monte Isola and Sulzano with the island of San Paol on Lake Iseo. The project has been in planning since the 1970s, making this art piece an accomplishment for Christo in memory of his late wife. The exhibit is open and free for all visitors 24/7, barring weather and other restrictions, making this a prime spot for locals and tourists alike to check out this feat in design and art!